Well developed building practices are only the first step in executing a quality renovation. No matter how well a project is managed, things will slip through the cracks. We performance test all of our renovation projects throughout construction to verify that procedures have been followed and the details have been attended to. We use tools like moisture meters to verify the moisture content of sub floor prior to installing hardwood flooring. High accuracy humidity meters to keep a check on the indoor humidity levels throughout construction – installing equipment as necessary to add or remove humidity. 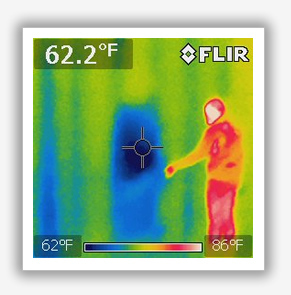 Blower door units to de-pressurize the home and infrared cameras locate penetrations in the insulation and air barriers.